Preheat oven to 400°. In a small bowl, whisk egg with water. Unfold puff pastry; cut into nine squares. 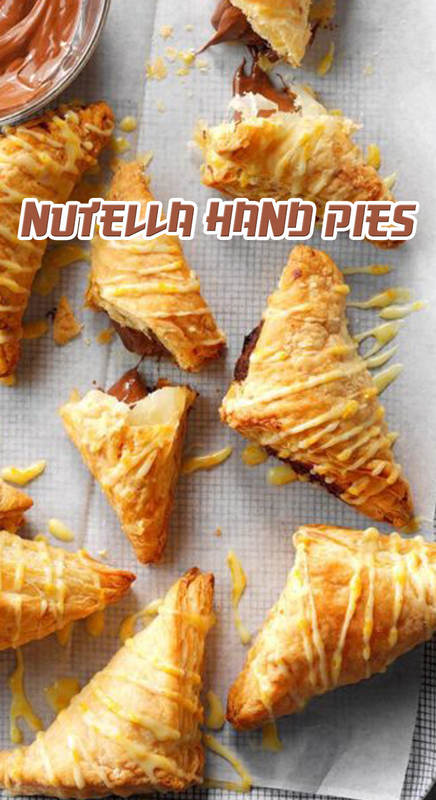 Place 1 teaspoon Nutella in center of each; sprinkle with orange zest. Brush edges of pastry with egg mixture. Fold one corner over filling to form a triangle; press edges to seal. Transfer to an ungreased baking sheet. Bake until golden brown and pastry has cooked through, 17-20 minutes. Cool slightly. In a small bowl, mix confectioners' sugar, orange juice and orange zest; drizzle over pies. If desired, warm additional Nutella in a microwave and drizzle over tops.